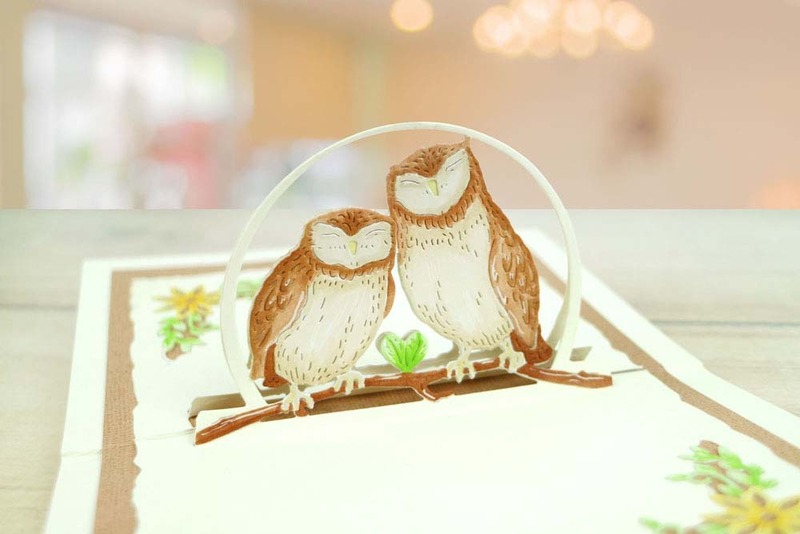 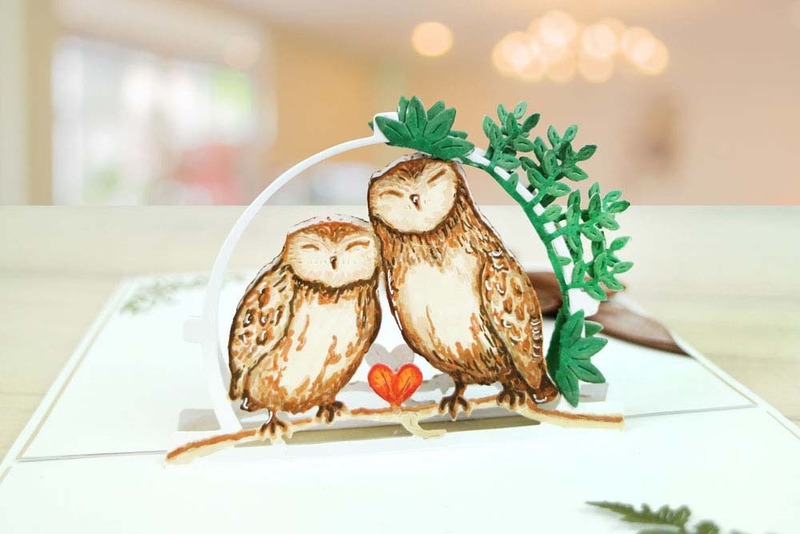 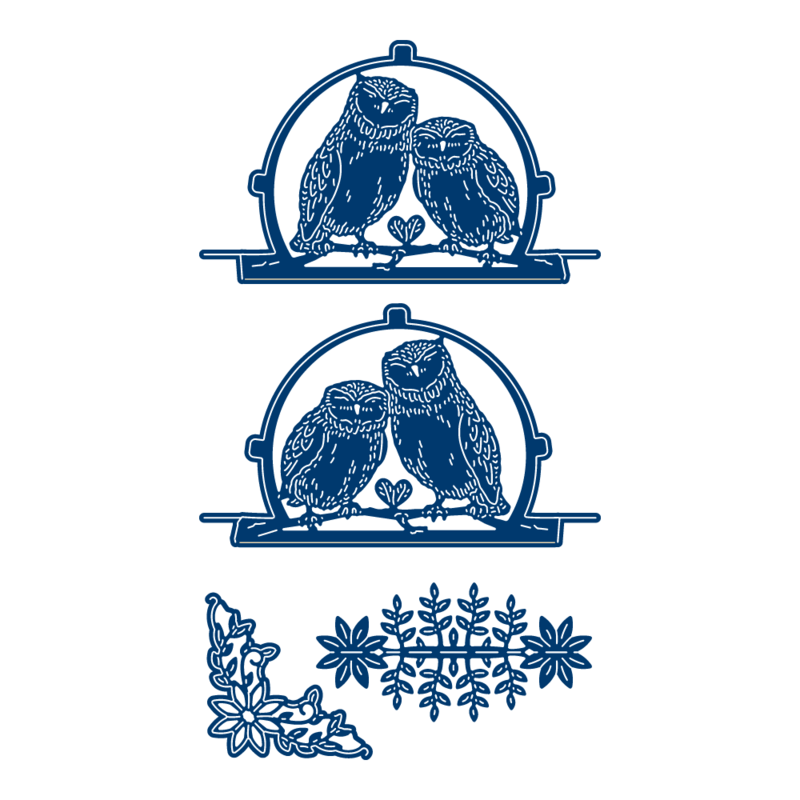 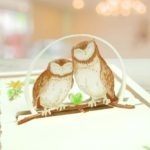 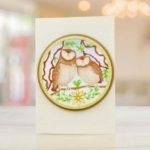 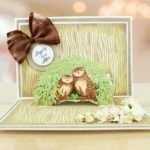 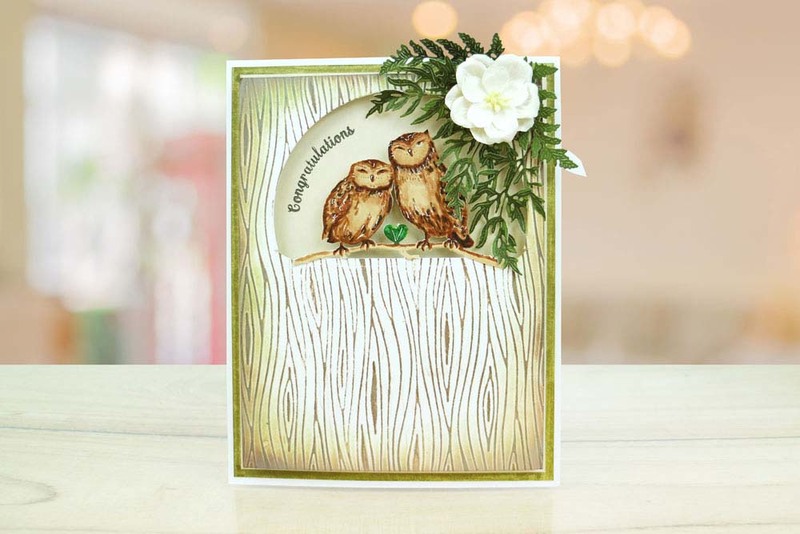 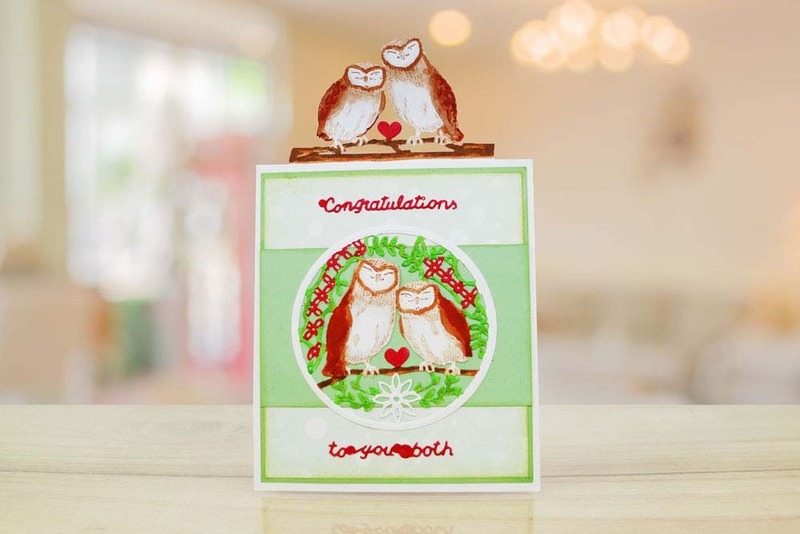 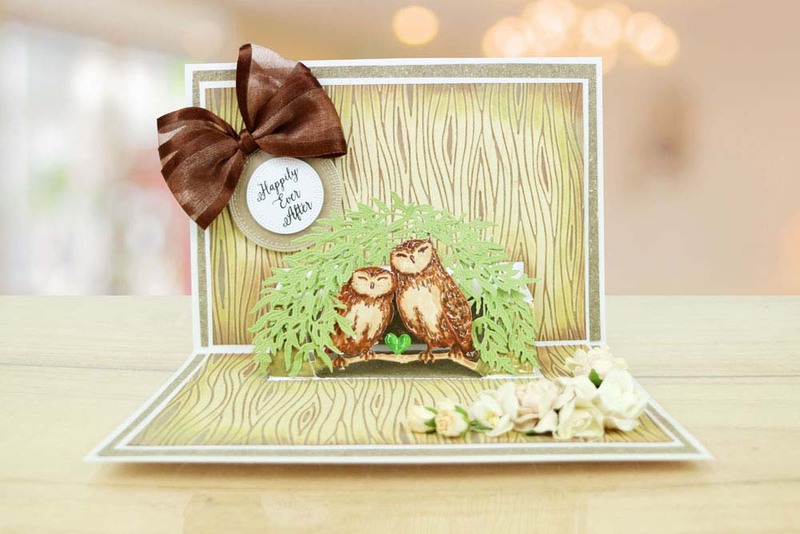 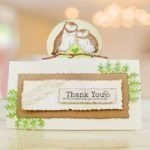 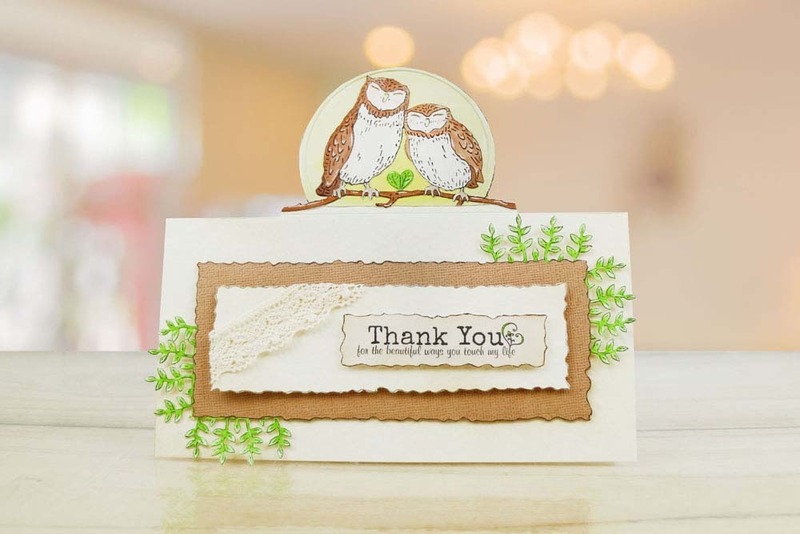 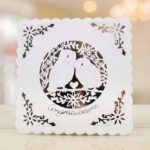 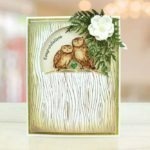 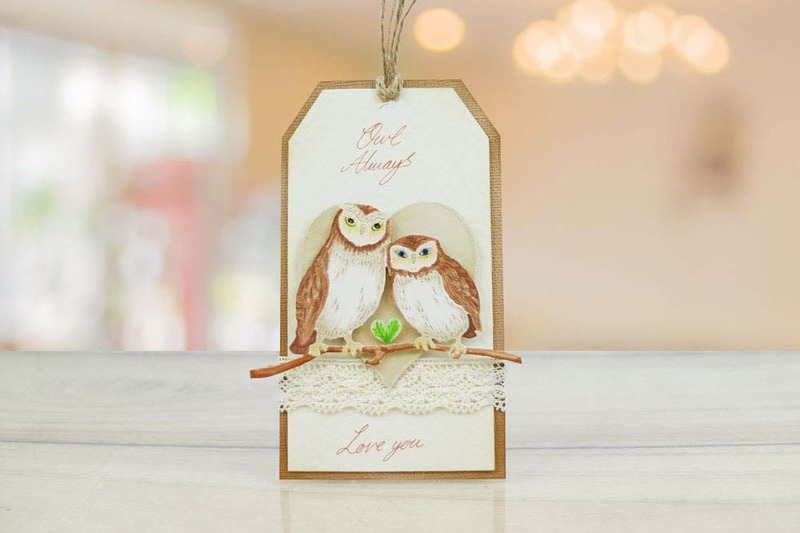 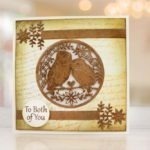 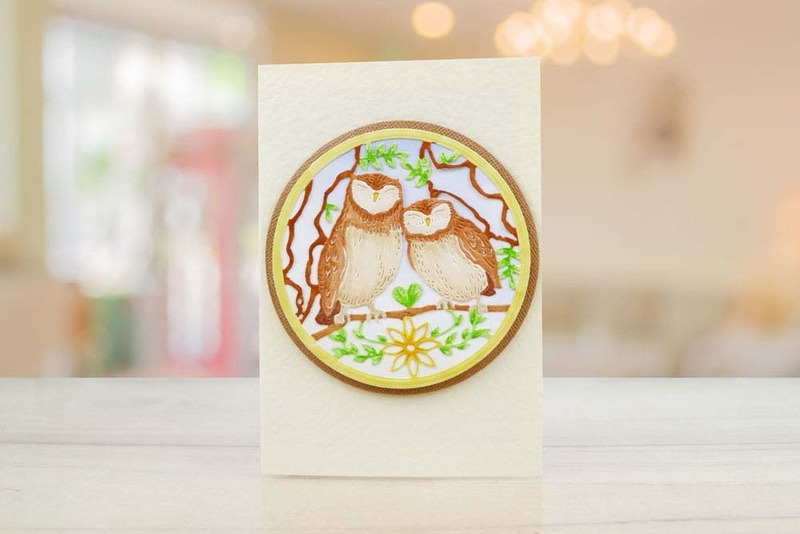 The Tattered Lace Picture Show Owl Branch die is perfect for creating a pop up dimensional insert on open projects or cards. 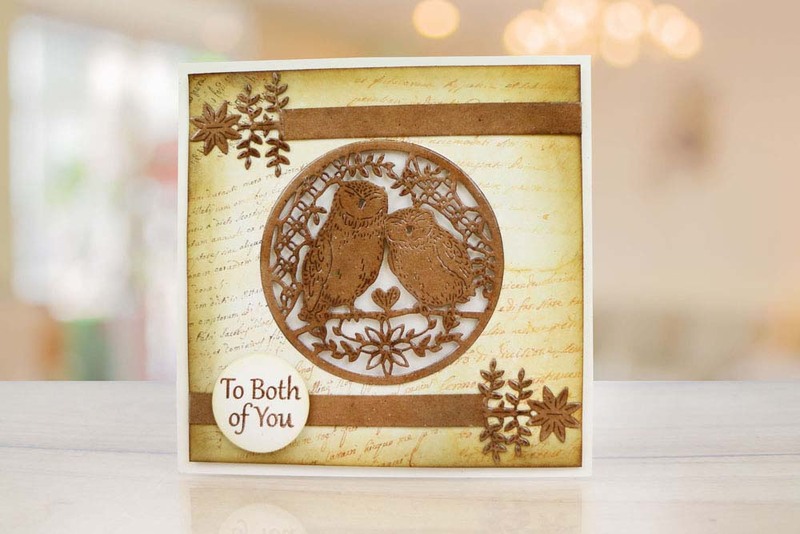 This die features two owls sat snuggling up on a branch with a circle aperture around them. 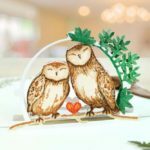 It comes with a coordinating corner and a buildable leaf element, use this multiple times and place around the circle aperture. 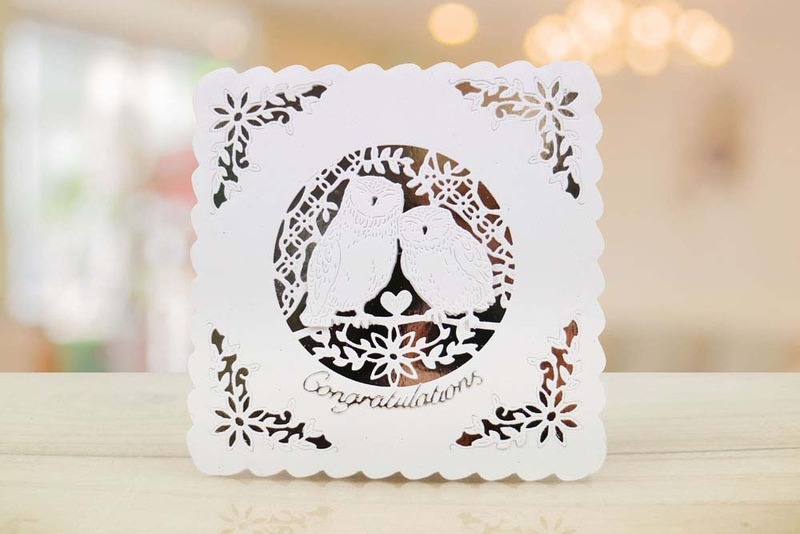 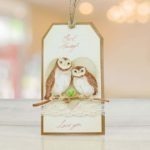 With the heart shaped leaf detail in between the Owls makes it perfect for occasions such as Engagement, Wedding, Valentines, Anniversary and other romantic occasions. 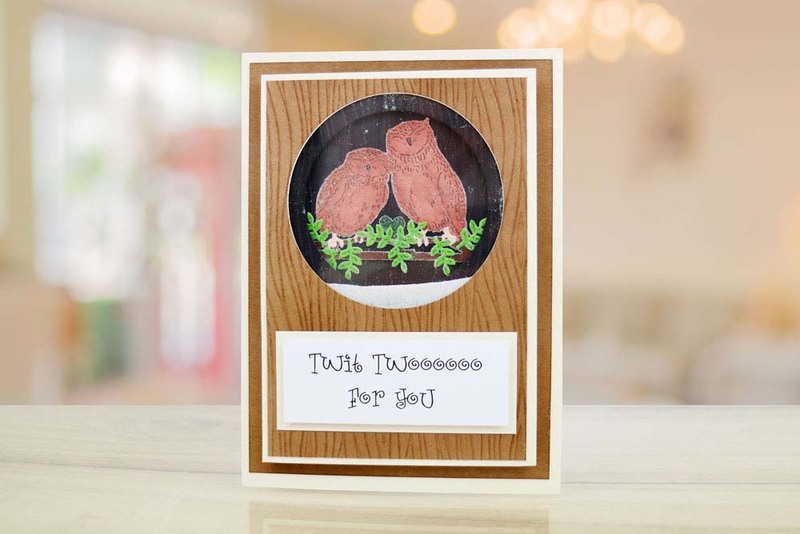 With left and right facing designs to create the perfect mirrored image, use this die for a decorative stand up piece on many projects. 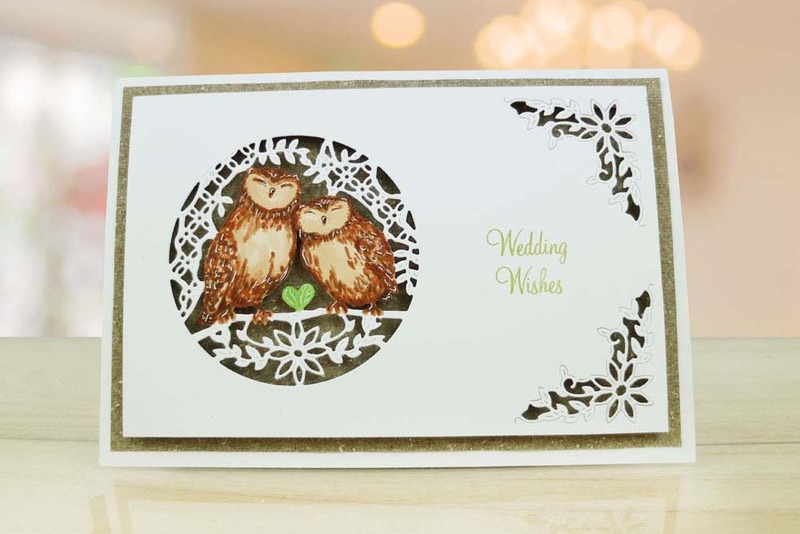 You could even sprinkle with glitter and create a snowy owl for festive projects.